I'm including this link to Golf Digest's analysis of Lee Westwood chipping crosshanded because some of you are probably curious about the how and why of it. The short article includes the videos Lee tweeted that show him doing it. 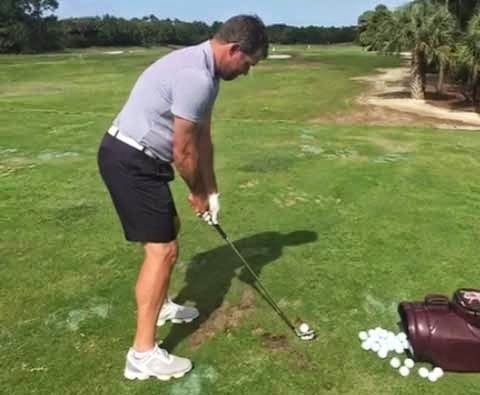 Basically, Lee says it's a good way to learn a good trailing arm position, while Golf Digest says it's a good way to learn how to keep your lead wrist from breaking down. Not much else to say, is there? Try it at your own risk. Did You Catch This Putting Tip on NBC Saturday? Is Yani Tseng on Her Way Back?